August heavy monsoon rains have been lashing the northern area along the Thai Burma border. The constant deluge broke the banks of Mae Sariang River in Mae Hong Song province after the constant pressure from the floodwaters. This had a devastating effect on Mae Ra Ma Luang refugee camp. Hundreds of refugees were evacuated when flooding swamped their houses. Mae Ra Ma Luang refugee camp is vulnerable as it is located in the river valley. The flooding put more than 400 houses underwater in sections 1, 2, 4, 5, 6, 7. The refugee camp food ration stores were also affected. A Karen Refugee Committee (KRC) official said the flood refugees are now taking shelter in neighboring houses, at the school, library and churches not affected by the floodwaters. Saw Too Too, a KRC official told Karen News that the refugees are in urgent need of shelter, but transporting materials to the camp is difficult. The Thai Burma Border Consortium is a group of 12 international non-governmental organizations from 10 countries, which delivers food and shelter to refugees and displaced people from Burma. The refugees living in Mae Ra Ma Luang were not the only ones that effected by the floodwaters. 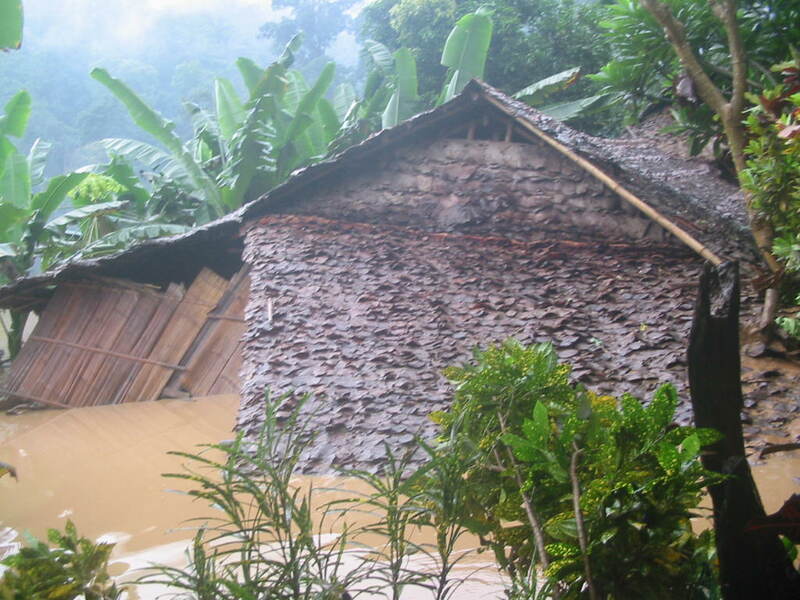 A neighboring refugee camp, Mae La Oon was also hit by floods – 39 houses were flooded and schools had to be closed. The KRC official said schools in both camps are now closed. Refugees also had further bad news when three food ration storages facilities at Mae Ra Ma Luang camp collapsed because of damage by floodwaters. Naw Abinazar, a camp resident told Karen News that ration distribution is usually done monthly, camp officials have now handed out rations to last for longer periods as they are having problems storing them. KRC told Karen News although it was lucky nobody was killed or seriously hurt in the flooding camp officials are concerned students school will be disrupted and they are worried about potential health hazards. KRC received 600 pieces of plastic sheets for the shelter of the flood refugees from TBBC, but they say it is difficult to deliver it to the camps because of the state of the roads. There are over 140,000 refugees from Burma in nine refugee camps along the Thai Burma border and Mae Ra Ma Luang’s population is over 17,000 people. It was built in 1995 and is located 80 Kilometers from the town of Mae Sariang in Mae Hong Song province, northern Thailand.